Make Day Trading work for you 24/7! Technical Analysis: EURAUD is currently standing on its day opening price 1.5794. In the next 10 minutes, the European session will start. Based on the SFX Intraday Planetary Line Astro Pack Indicator, currently a Jupiter, Venus aspect is running. So we will share possible market movement, fundamental analysis & forecasted trade levels. On our trend dashboard hourly EURAUD signal its not having a clear direction. ADX is weak bearish, price inside ichimoku cloud. Today no major news is going release based on the forex economic calender. There is a strong possibility that without any special event, EURAUD is not going to move much further. EURAUD might full day stay inside Jupiter & Venus price line range. When you login first time using a Social Login button, we collect your account public profile information shared by Social Login provider, based on your privacy settings. We also get your email address to automatically create an account for you in our website. Once your account is created, you'll be logged-in to this account. We do not share your information with any 3rd party. Earn cashback per trade from our partner brokers. 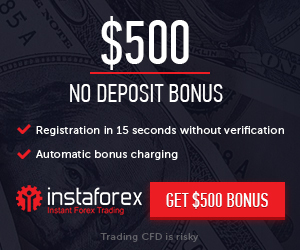 Open a new forex trading account or transfer your existing account IB to us, for earning daily forex rebate. Learn more about existing account here. * Here rates are given as per standard lot size with EURUSD. Copying contents, images, phrases from IntraQuotes will cause legal charges under DMCA compliance. SFX Multi Pair Trend Dashboard version 1.23 has been published. We help traders to dive into the world of the financial market with all tools & resources. Plus forex rebate, metatrader indicator, trading tutorials to get started. Innovative excellence at your fingertips. © 2017-2019 IntraQuotes | Registration No. 482013140 (WB) | All rights reserved. IntraQuotes is not a financial broker, hence does not deals with clients money. Therefore IntraQuotes is not liable to any kind of losses occurred by 3rd party brokers promoted on IntraQuotes site & social media. IntraQuotes cashback is given as per free complimentary which is subjected to change based on IntraQuotes terms of services. All original content on intraquotes.com and its subdomain is created by the website owner, including but not limited to text, design, code, images, photographs and videos are considered to be the intellectual property of the website owner, whether copyrighted or not, and are protected by DMCA Protection Services using the Digital Millennium Copyright Act Title 17 Chapter 512 (c)(3). Reproduction or re-publication of this content is prohibited without permission.